Posters reading “Pattern of Lies” reminded everyone of the corruption of the confirmation process by Senate Republican leaders who failed to address the nominee’s deliberate dishonesty in testimony under oath to the Judiciary Committee. Nadler is not proposing Kavanaugh’s impeachment. But it should be understood that any honest investigation into this man’s lies under oath—and into a host of other issues that were raised but never really examined during the confirmation process—has the potential to become an impeachment inquiry. Proposing to investigate and impeach Kavanaugh is not sour grapes or political gamesmanship. It is an indication of respect for the system of checks and balances. The Constitution gives the House, as the chamber closest to the people, the authority to initiate impeachment proceedings. This is done when warranted by evidence of wrongdoing that affronts the Constitution and the processes by which its provisions are exercised. Lying under oath to the Congress represents a classic impeachable offense, as the accountability group Free Speech for People noted in a recent “Call on Congress to Launch an Impeachment Investigation of Judge Brett Kavanaugh” Deliberately deceiving the Judiciary Committee is not merely impeachable because of the dishonesty itself but also because the lies disrupt the advice-and-consent duty that the Senate is required to perform. The details of Kavanaugh’s lies have already been outlined at great length. The senior member of the Senate, Vermont Democrat Patrick Leahy, has described lies Kavanaugh told the committee regarding his use of stolen documents to manipulate the confirmation process for Bush’s judicial nominees. 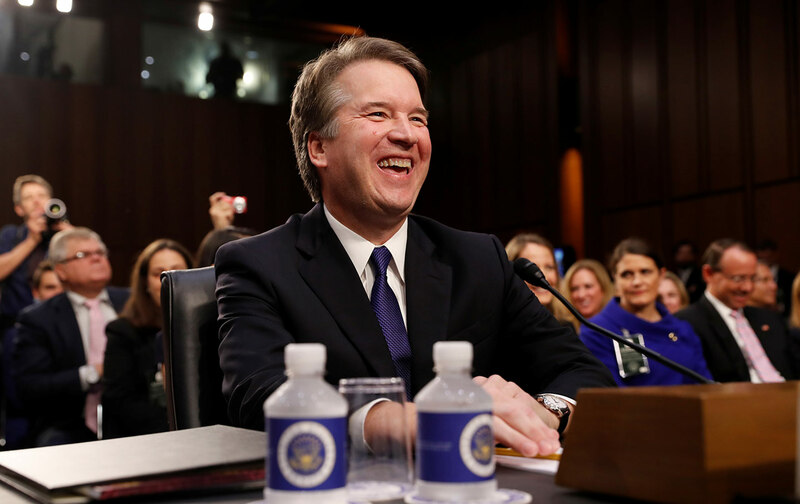 Former Judiciary Committee member Russ Feingold (D-WI) has argued that “Taking all his testimony together, we see a clear pattern emerge: Brett Kavanaugh has never appeared under oath before the U.S. Senate without lying.” Kavanaugh’s college roommate announced after the nominee testified that he had not been a heavy drinker (an assertion made as part of a broader effort to discredit abuse allegations) to say that Kavanaugh had lied under oath. “Not only did I know he wasn’t telling the truth, I knew that he knew he wasn’t telling the truth,” explained James Roche. Yet, McConnell has made no effort to examine allegations that Kavanaugh was deliberately dishonest. The issue of Kavanaugh’s credibility was not examined by the Senate because McConnell and Grassley refused to allow a serious review of the nominee’s record, or to demand a full FBI background check. This rejection of the system of checks and balances created a constitutional crisis. It is a crisis the founders of the American experiment anticipated.